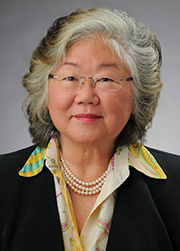 HONOLULU—Carilyn Shon has been appointed administrator of the Hawaii State Energy Office (HSEO), effective July 31. In her new role, Shon will manage, develop, oversee and implement statewide energy programs, policies, and initiatives that support Hawaii’s clean energy transformation. She has extensive experience in the energy field, most recently serving as Energy Efficiency program manager, for the past 17 years, at HSEO, a division of the state Department of Business, Economic Development and Tourism (DBEDT). In her current role, as Energy Efficiency program manager Shon is responsible for monitoring and implementing key strategies, including the state’s efforts to reach the mandated Energy Efficiency Portfolio Standards. Her responsibilities also included supporting state and county agencies implementation of performance contracting for accelerated efficiency improvements; updating and promoting the adoption of the energy building code; and ensuring that state energy efficiency, conservation and renewable energy programs comport with state energy policy. Through Shon’s leadership Hawaii has received three National Governors Association (NGA) awards for participation in the Policy Academy on Advanced Energy Strategies for Buildings and the Center for Best Practices, as well as participation in NGA’s workshop on Innovations in Energy Policy. For five consecutive years Hawaii has received national recognition from the Energy Services Coalition’s (ERC) Race to the Top award as the leader in per capita investments achieved in performance contracting. In 2016, ESC also recognized the State of Hawaii as an Energy Stewardship Champion for its “outstanding accomplishments in leveraging Guaranteed Energy Performance Contracting to achieve infrastructure modernization, environmental stewardship and economic development. ESC is a national nonprofit organization of experts working together to increase energy efficiency and building upgrades through energy performance contracting. Ms. Shon holds a BA in English from the University of Oregon and an MA in English and an M.Ed in Education from the University of Hawaii at Manoa.